AirNav Indonesia has selected ACAMS Technical Control and Monitoring System (TCMS) solution for their Integrated Remote Monitoring System (IRMS) requirements. The multi-site system will be installed in Jakarta (JATSC), Makassar(MATSC) in South Sulawesi, and the AirNav Head Quarter. The system will monitor technical status and provide basic control functionality for the communication equipment (VHF A/G radio), navigation equipment (DVOR DME, ILS and NDB) as well as surveillance equipment (ADS-B) in Jakarta and Makassar. 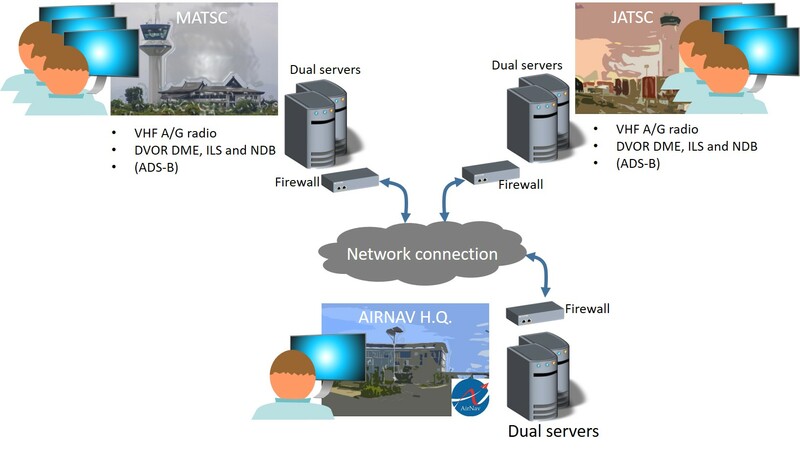 Both ATSC sites will be inter-connected to a central system at the AirNav head office, (Kantor Pusat), enabling full Web access to both sites. The supply includes redundant servers for all three locations and 3 working positions at Jakarta and Makassar each, in addition to working position at head office. The system will be supplied to AirNav Indonesia through Panorama Graha Teknologi, an electronics and communication supplier in Jakarta with 40 years of experience in the Indonesian market. The end user, AirNav Indonesia, was established in 16 September 2012 by merging the three main ATS providers (Angkasa Pura I, Angkasa Pura II and Government Operated ATS) into a single air navigation service provider in Indonesia. The Indonesian air space covers a total area of 2 219 629 square kilometres, and a flight traffic of more than 10,000 movements/day. ACAMS has previously supplied several systems to Indonesia, including country-wide TCMS-system supplied to DGCA in 2011 and multiple ATIS systems. This contract further strengthens ACAMS position as a leading TCMS supplier in this field. TCMS is one of 4 of ACAMS product areas, in addition to I-TWR, ATIS and ALCMS.